While a man possesses a unique God-given motivational propensity for exercising a strong will in life, a woman conversely possesses a unique God-given propensity for discerning the appropriate way of life. Through ups and downs, these magnetic tensions have helped husband and wife writing team, Robert and Pamela Crosby, learn to balance, bend, and blend in their marriage. To appreciate the balance their differences bring, to bend more appropriately in response to each other, and to move toward a more joyous blend that can only emerge out of two quite different ways somehow turned into one. Simply put, where there’s a WILL, there’s a WAY. The Will of a Man & the Way of a Woman (Shiloh Run Press November 2016) invites readers to harness the magnetic draw of their differences and blend better with their spouse in both life and love. “The will of a man compels him to act on the strengths he feels he can offer.” comments Robert. “The way of a woman compels her to act out of the understanding she feels she can offer.” adds Pamela. Together this draws both husband and wife into relational oneness and becomes the GPS of the relationship. Clarifying how men and women are vastly different by design, emotionally and even spiritually can remove years of struggle. Robert and Pamela Crosby are also co-founders of Teaming Life, a conference and resource ministry to couples and families. Together they have served s pastors at churches in New York, Ohio, Boston and now a brand-new church plant in downtown Tampa. Robert and Pamela speak at various couples and leadership events and retreats for local churches and church districts across the country. Robert regularly contributes articles and blog posts for Patheos.com, HuffngtonPost.com, Christianity Today, and Outreach Magazine. When we quit things that are damaging to our souls, we are freed up to choose other ways of being and relating that are rooted in love and lead to life. When we quit fear of what others think, we choose freedom. For those ready to embark upon an authentic journey to change, The Emotionally Healthy Woman offers an indispensable traveler’s guide. 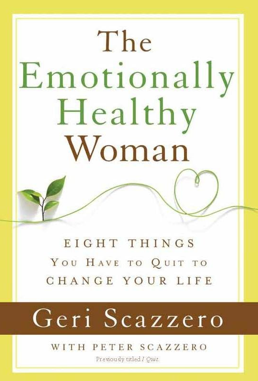 Geri Scazzero combines her own experiences with familiar biblical stories and scripture to provide a spiritual and emotional roadmap, pinpointing alternate routes that are forged by love and leading straight to the life God intended. Enough self-help sagas. Want something simple, practical, and mobile? Desire reminders, Encouragement, Inspiration, and Emotional Health WITH you throughout your day? 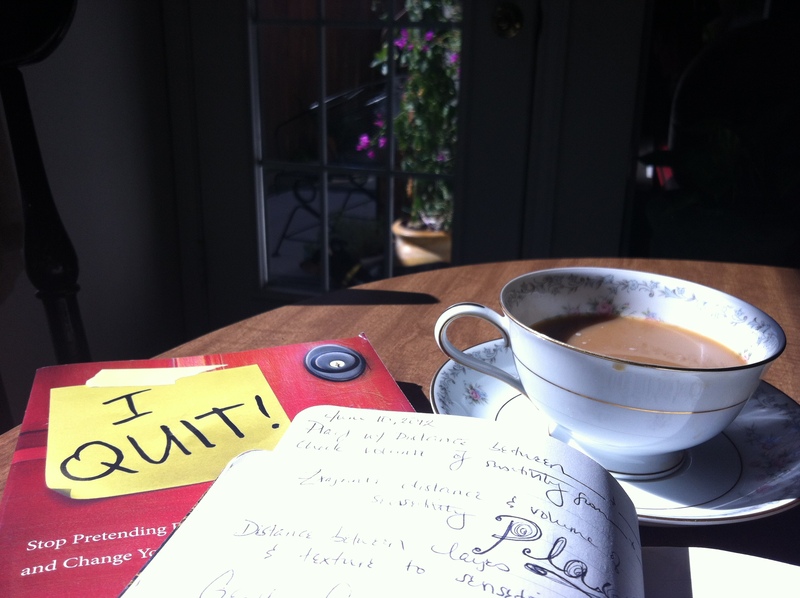 Take Emotional Health with you throughout your day-don’t leave it on the shelf! Need the perfect last minute gift before you quit?